This agreement represents the complete agreement and understanding between Sunset Net, LLC (Sunset Net) and you (you) and supersedes any other written or oral agreement. Sunset Net reserves the right to change these terms and conditions, and/or change pricing, and/or add, change, or remove services offered at any time with 10 days notice via email or by publishing said notice on our website. Your use of Sunset Net services constitutes your acceptance of these terms and conditions. This agreement shall remain in effect until you terminate your account in writing or Sunset Net cancels your account subject to our cancellation policy set forth below. Sunset Net may occasionally require new registration and account information to continue this service. In addition, you shall notify Sunset Net in writing (email, fax, or postal service) of any changes in your account status, including contact information such as address, phone number(s), credit card number and expiration date, etc. Alternatively, you may update this information directly using our online account management tools (link available from the main page of our website). Sunset Net reserves the right to change the terms and conditions of this agreement by notifying you (by any one or more of the following: e-mail, postal mail, phone call, posting on our web page) at least 10 days in advance of the effective date of the change. Your initial use of Sunset Net constitutes your acceptance of the terms and conditions herein. If you do not agree to the terms and conditions, you may cancel this agreement by giving Sunset Net proper written notice in accordance with the terms and conditions stated herein. Sunset Net reserves the right to terminate your account at any time for violation of this agreement. Refunds and credits for unused service are not issued unless Sunset Net is unable to provide the services contracted for as part of the agreement with you. Sunset Net will process your credit card for monthly subscription and connection fees as set forth in Sunset Net's current rate schedule. The Sunset Net accounting cycle begins on the day that your account is enabled for use on our system (which may not coincide with your first use). Account due dates may be moved forward or backward by Sunset Net to coincide with a common billing cycle. This will be done at the sole discretion of Sunset Net. We may, but are not obligated to, offer flexible billing dates for the convenience of our subscribers. If you wish to make changes to your account, you must notify Sunset Net at least 10 working days (2 calendar weeks) before the start of the next billing cycle for said changes to take effect. Otherwise, you will be liable for all charges for the subsequent billing period. Some services and special offers have minimum term requirements. You are responsible for all charges that will be incurred during the contract period, even if you elect to terminate service prior to the end of the contracted period. Some services require advance notice of termination. If you do not provide sufficient notice, you will be billed in accordance with the terms and conditions of that service until such advance notification requirements are met. For instance, if a service calls for a 30-day advance notification for termination, and you want to cancel your account 10 days from now, your service will be terminated 30 days from the date we received (and acknowledged) your notice. See "Cancellation Policy" below for acceptable methods of termination. All services are payable in advance. There is a service charge for each returned check or declined credit card charge (see below). Delinquent accounts (payment not received by 5th day after start of billing cycle) will be placed on "accounting hold" and may not be used until the account is brought up to date, including any returned check or declined credit card service charges. Accounts that remain delinquent for 15 days will be terminated (files/data are NOT guaranteed to be saved or backed up). Terminated accounts may be reactivated upon payment of any outstanding charges and may be assessed an account re-activation charge (see below). Accounts continue to accrue finance charges while they are on accounting hold and outstanding balances will continue to accrue finance charges until paid in full. Cancellation requests must be sent via e-mail to support@sunset.net. All correspondence sent to that address is tracked, and is the only way to guarantee that your notice was received. If you do not receive an auto-response with a tracking number, your notice has not officially been received. Contact the office for further information Sunset Net's main office (see contact information below). Cancellations by phone are allowed on a best effort basis, but in the event of a dispute over whether or not the customer cancelled their service or not, only an email submission with a valid tracking number will be considered official notice. Accounts will be terminated at the end of the accounting cycle in which the termination notice was received. Exceptions to this include contracts and services that carry advanced termination notice requirements (see Billing Procedures and Terms for some examples). You are responsible for all fees up to the date of final termination of the service by Sunset Net, except where Sunset Net is unable to provide services under this agreement. Sunset Net agrees to provide services to customers in exchange for payment of fees and compliance with the terms and conditions of this document. Sunset Net services are defined as the use by Customer of computing, telecommunications, software, and information services provided by Sunset Net. These services also include the provision of access to computing, telecommunications, software, and information services provided by others via the world-wide computer network known as the Internet. No backups of customer data are made and therefore, no guarantee of data permanence is made. Sunset Net maintains an extensive list of dialup access numbers that are a toll-free call to many communities and cities. It is the customer's responsibility to ensure that the number they are using to access the internet is a local call for their area. Sunset Net in no way guarantees or warrants that any dialup access number maintained by Sunset Net will be considered a local, non-toll charge from the customer's calling area. Customers are encouraged to contact their local phone company if they have any questions or concerns about these matters. Sunset Net has partnered with iPass to offer Customers the ability to gain access to their Sunset Net account while "roaming" throughout the world. This service is optional and carries charges separate from the regular account charges. Please visit our website for more information. Some customers may wish to access Sunset Net's services, even though a local phone number doesn't exist for that customer's calling area. In this case, the responsibility for toll charges incurred for such use falls upon the customer. Sunset Net does not offer discounted rates for toll call access. Again, the customer is encouraged to discuss these matters with their local phone company. Sunset Net now offers web browser based email access. As long as you can get to an internet-connected system with a web browser, you can send and receive email from that system. Sunset Net dial-up accounts are for individual users and the Customer therefore agrees not to share the password given for the account with others or share the use of the account with others, including but not limited to other family members or business associates, except as allowed by the nature of the account(s) contracted for. You agree to maintain a secure password to the account at all times. If you suspect that the security of your account has been compromised, you must contact Sunset Net for instructions and/or assignment of a new password. Your contract with Sunset Net allows for only 1 concurrent login per dialup account at a time. Connecting to (or attempting to connect to) the service more than once concurrently may result in termination of all sessions. If you abuse this policy by more than one simultaneous (active) login session, your account may be terminated and you may be held liable for the cost of additional dialup accounts. If you require more than one login session at a time, contact the office for the appropriate account provisioning. You agree to use the services provided by Sunset Net as permitted by applicable local, state, and federal laws. You agree to refrain from mass posting of the same message to many inappropriate Usenet newsgroups (spamming). You agree to refrain from mass, unsolicited emailings. You agree to post advertisements only where appropriate, for instance in biz, for.sale, and other venues that specifically encourage or allow advertising. You agree to respect the conventions of the newsgroups, lists and networks to which you are posting, including rules more restrictive than but not limited to the above. You agree to indemnify and hold Sunset Net harmless against losses resulting from your use of the service which may damage you or any third party. Any use of Sunset Net system resources that disrupts the normal use of the system for other Sunset Net customers is considered to be an abuse of system resources and is grounds for administrative intervention. Some examples of system abuse include the spawning of multiple processes, consuming excessive amounts of memory or CPU, and/or staying attached to modems while not really "active" on the line. Unlimited, or more specifically, "unmeasured" use means unlimited, exclusive, attended use by the individual with whom the account was contracted. In the case of unmeasured, single user, non-dedicated accounts, you specifically agree to remain connected only for the period of time that you are actually using the system. Idle sessions will automatically be terminated after long periods of inactivity (see below). You agree not to attempt to defeat this mechanism by means of ping-bots, automatic email checking, keepalive scripts, or any other means. Sunset Net may limit session connections to a period defined below, after which the session may be automatically terminated. 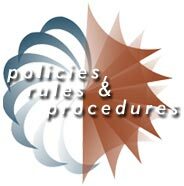 If your session is automatically terminated by Sunset Net, you are permitted to re-establish your session at any time for additional sessions as long as it is in compliance with the other rules and regulations set forth in this document. With the exception of specific accounts that allow multiple simultaneous connections, dialup accounts are allowed to maintain a single instance of a connection at any given time. If more than one connection is detected, all such connections may be terminated at Sunset Net's discretion. In addition, each instance of such a duplicitous connection shall be charged for (see below). Certain dialup accounts may have disk space allocated on Sunset Net servers. Except for transient, intra-day storage, you agree not to use more than your quota of disk storage unless prior arrangements are made with Sunset Net. Extra charges will be incurred per our pricing schedule. Contact the office if you have any questions about these charges. Any time spent investigating claims that one our customers is violating the acceptable usage policy will be subject to being billed for such time at the then standard hourly rate (see below). Sunset Net exercises no control over the content of materials accessed or transmitted through its services. Some materials available on the internet may be considered offensive or adult in nature. Persons under 18 years of age must have their parent's (or guardian's) consent to use Sunset Net. The parent or guardian accepts all responsibility for the minor's actions while using the service. Use common sense when allowing children to use the internet. Many programs are available to help prevent unwanted materials to be accessed on the world wide web. In addition, Sunset Net offers accounts that have opt-in filtering. Visit our website for details on these programs. Personal web sites are prohibited from containing offensive or adult materials. What is considered appropriate is at the sole discretion of Sunset Net. Sunset Net has the right but not the responsibility to examine and/or remove any online materials, including news, email, and user files at any time and as needed to maintain the operability, security, safety and "community standards" of the service. Sunset Net makes no warranties of any kind, whether expressed or implied, for its services and specifically disclaims any implied warranties of merchantability or fitness for any particular purpose. Sunset Net is not be responsible for any losses or damages resulting from delays, non-deliveries, miss-deliveries, service interruptions, or errors or omissions. Sunset Net will not under any circumstances be responsible for consequential damages. The internet at large, contains materials that may be deemed offensive to some. Sunset Net does not generally restrict access to the internet (except for certain accounts which specifically offer this feature) and therefore will not be held liable for the delivery or access of said materials. If the customer wishes to filter such materials, customer is encouraged to investigate the various software and hardware solutions available for this purpose. The validity, construction and performance of this agreement shall be governed by the laws of the State of California. If any provision of this agreement is held by a court of competent jurisdiction to be contrary to law, the remaining provisions of this agreement will remain in full force and effect. This agreement shall become effective when your Sunset Net account is enabled.